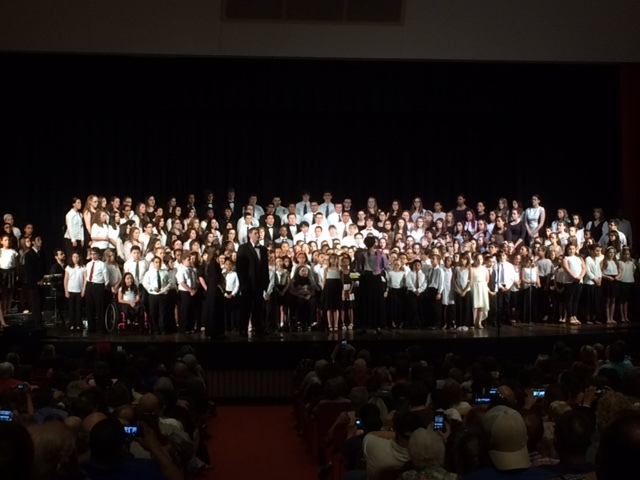 The Borough Music Festival celebrates the musical excellence of students from the Naugatuck Public Schools. Participants in the festival experience music with students from all schools within the district. At the concert parents and students see the progression of musicianship from beginning to advanced levels. This annual event alternates between vocal and instrumental ensembles and takes place each Spring. Students are selected from each school’s performing ensembles. In order to prepare for the performance, rehearsals may be held during the school day or evenings. For more information on the Borough Music Festival, please email Michele Beck (Vocal) michele.beck@naugatuck.k12.ct.us or Kathy Dravis (Band) kathleen.dravis@naugatuck.k12.ct.us or you can contact your child’s music teacher. This year’s Borough Festival will be Vocal ensembles. The Borough Festival will take place on Tuesday, April 2, 2019 at 7:00 PM at Naugatuck High School. Due to limited seating in the newly renovated auditorium, students participating in the festival will purchase tickets in advance. There will be no tickets sold at the door on the day of the concert. For additional information or questions regarding obtaining tickets to the concert, please contact Lisa at Lisa.Pettinicchi@naugatuck.k12.ct.us or by phone at Cross Street or Hillside Intermediate Schools.